Looking to get or stay fit this year? For many of us, it’s a resolution that will fall by the wayside as the weeks or months pass by—myself included. I’m a yo-yo exerciser—hitting the gym three to five days a week for a few months, then not going at all, repeat. So I’ve found some tech tools to help stay on the fitness wagon this year. How active you are? It’s not until you wear an activity meter, like the Philips DirectLife, that you really know. The monitor measures your activity throughout the first week, and then gives you an activity-level target, based on your goals. A live personal coach tracks your progress and is available for questions and encouragement. And you can see how others are doing with their goals (I’m “Suzanne” with the brown floral avatar). Nothing can replace a living, breathing personal trainer who can tailor your exercise routine to your fitness goals and keep an eye on your form to make sure get the most out of each exercise and don’t injure yourself. Your Shape for Wii or PC comes close, though. A wide-angle lens captures your body from the front and side when you create your profile, so the program can identify your limbs and joints. The program uses this information to keep an eye on your form and exertion level as you “play” to give you personal encouragement and feedback. 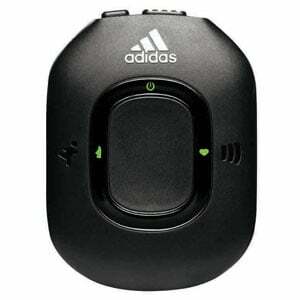 If you like working with a coach, the Adidas MiCoach Pacer is your answer. It’s a three-part system with a pedometer, heart-rate monitor and audible coaching device. Use the coaching device with headphones or plug it into any music player. As you workout, the coach takes the real-time data from the hear-rate monitor to guide you through your workout, letting you know when to kick up your pace to maintain your heart rate in the proper zone—blue for warm up or cool down, green for medium effort, yellow for sprinting and red for all out. A calorie eaten or burned is a calorie, is the underlying assumption of DietPower, and how much you should eat is based on your metabolism. 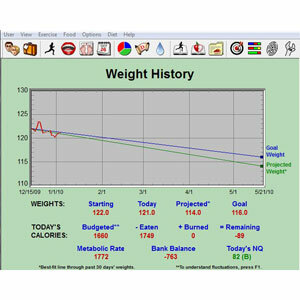 When you start using DietPower, you input your weight, height, age and weight goal (number of pounds and timeframe). DietPower then determines how many calories you should ingest per day. As you input what you eat and how much you exercise, the software makes a more educated guess as to your actual metabolic rate and adjusts your calorie allotment. Those calories are based on you not exercising. So for each calorie you burn, you earn an extra one to eat. Want that scoop of ice cream? Sure, just hit the gym for a 2.5-mile run. The Philips DirectLife Activity Monitor with live personal coach sounds intriguing. I would want to know if it also came with online training courses and if the coaches were available on a 24/7 basis. There’s nothing more inspiring to me than a new “techy” gadget to keep me moving. Thanks for these suggestions. I do have DietPower installed on my laptop, which is great. 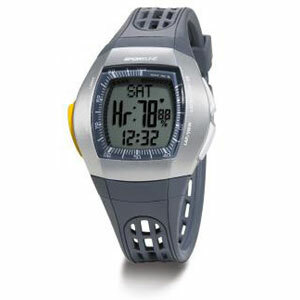 My personal favorite tech products to help me reach fitness goals, though, my garmin forerunner!